With interest in topics such as climate change, energy security, and alternative energy sources being at an all-time high, the effects of today's decisions now rest on the shoulders of future generations. There are no easy answers to our energy issues, so costs and benefits must be considered when evaluating all energy alternatives; alongside that, prices must be right and need to reflect the full social costs to society of a given source of energy. 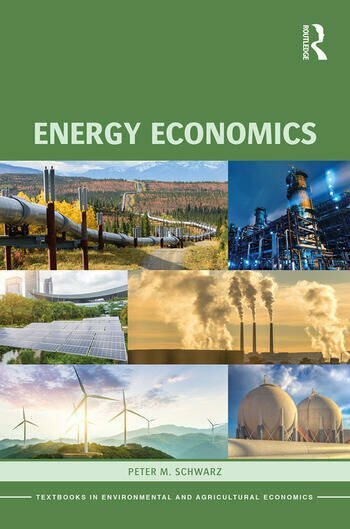 Energy Economics outlines the fundamental issues and possible solutions to the challenges of energy production and use, and presents a framework for energy decisions based upon sound economic analysis. It considers market forces and policy goals, including economic prosperity, environmental protection, and other considerations that affect societal well-being. This book focuses on both energy choices and the impact of these choices on market performance, environmental conditions, and sustainability. The initial section covers the fundamental economic concepts for analyzing energy markets. Following this, a detailed analysis of established energy sources, specifically fossil fuels and nuclear energy, leads into consideration of energy alternatives such as renewable energy and next-generation alternatives. Electricity production and regulatory trends are covered in depth. The final section considers policy: environmental considerations, sustainability, and energy security. The concluding chapter is a comprehensive vision for our energy future. Drawing on current energy headlines, perspectives familiar from the popular press, and views outside economics, this text sharpens students' ability to understand, evaluate, and critique policy using appropriate economic analysis. The text builds a foundation that culminates in a view of a comprehensive energy policy that improves upon the vacillations of past decades. Chapter 1: Why Energy Economics? Peter M. Schwarz is a Professor of Economics and Associate, Energy Production and Infrastructure Center (EPIC) at UNC Charlotte, USA. He has published numerous articles on energy, environment, and electricity pricing that have appeared in such journals as the American Economic Review, the RAND Journal of Economics, and the Energy Journal. He has travelled internationally to present his work in these areas, including Israel, Germany, and China (five times).